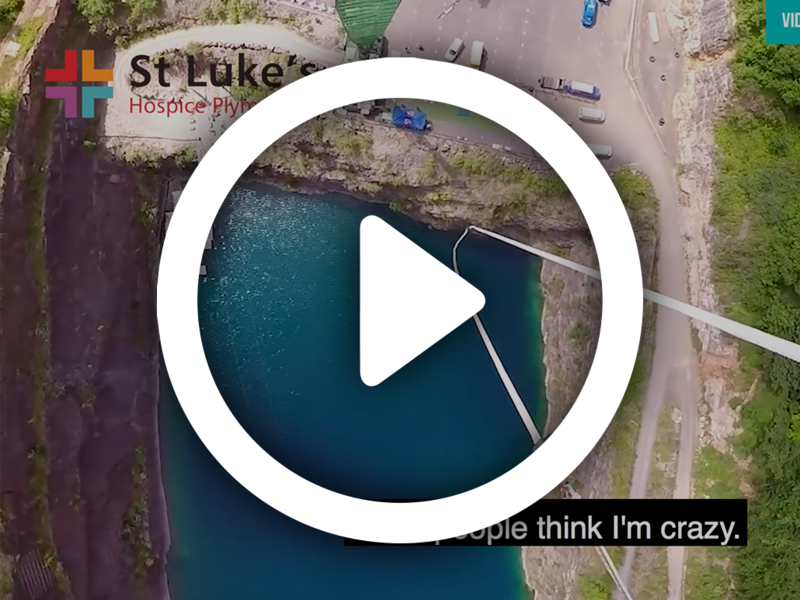 Lee Braid is taking the plunge for St Luke’s in June following the care we gave his father, bravely taking on a bungee jump to raise as much as he can by way of thanks to our team. And while many choose this particular experience for sheer exhilaration, there’s an extra-special reason for Lee. 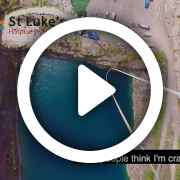 Diagnosed with a brain tumour last year, he decided on the UK’s biggest leap (300ft!) because this gave him a ‘sense of living again’ following the downward spiral of feelings he experienced after being diagnosed. Lee, who works for EE – which has kindly chosen us as its charity of the year – said: “While I can, I really want to make memories with friends and family. Memories are the one thing that don’t go away. If you’d like to show support for Lee and St Luke’s, please visit his fundraising page – thank you. 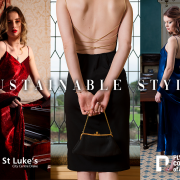 Learn more how you can fundraise for St Luke’s. 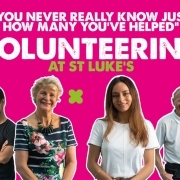 Kick start the new year by doing something great for your community by volunteering for St Luke’s. 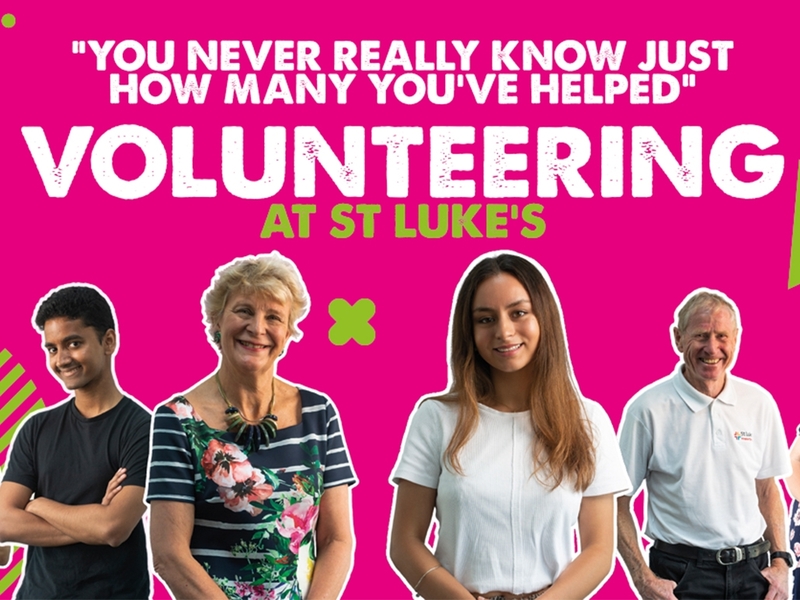 Our amazing volunteers are at the heart of St Luke’s and the services we provide. We appreciate them every day and want to say an extra big thank you to them all for the difference they make. If you’ve ever considered the idea of volunteering, but just haven’t got round to making that first step. Perhaps, some messages from our current volunteers may just inspire you. The majority of our volunteers are based across St Luke’s 30 plus charity shops throughout the community. Trudy Turner is a familiar friendly face to customers at our Estover shop and has found that volunteering there has been a great way to both meet people and gain new skills. 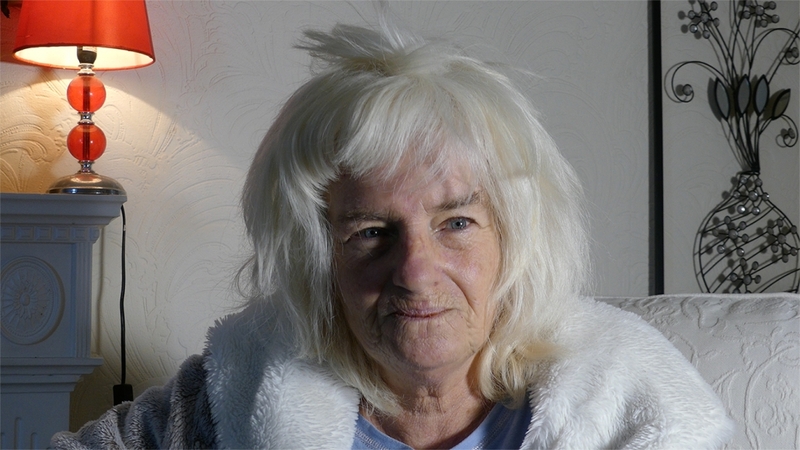 A support worker and registered carer for her daughter, Trudy lives locally. Inspired? Find out about volunteering opportunities in our new Plymouth city centre charity shop. Give us a call on 01752 401172 and ask for volunteer services. Behind the counter at our Driftwood Cafe at Turnchapel, the first thing you notice about Jennie Easterbrook is her mega-watt smile. Along with her fellow volunteers there, she ensures visitors receive a warm welcome and great service, whether they’re in for a work meeting or to spend time with a relative receiving our care. 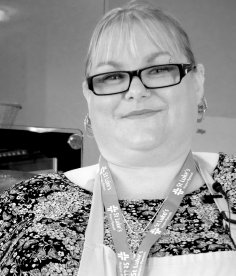 As well as serving there, Jennie helps out in the kitchen and can also be seen wheeling the tea trolley around the ward, making sure patients and relatives can enjoy a relaxing cuppa, or collecting dishes. 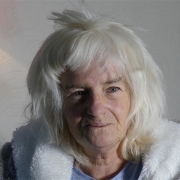 Jennie’s father, who passed away two years ago, received St Luke’s care at home. 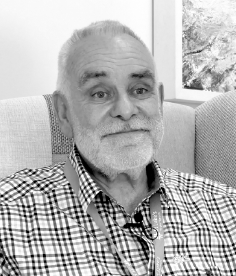 It was witnessing the quality of the medical care and emotional support he received that helped Jennie decide to give back by becoming a volunteer. “It was eye-opening to see how much care is given in the community,” she said. 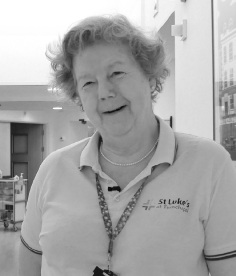 Learn more about volunteering at St Luke’s. How does a Bristish Gas engineer with 33 years’ service become one of our Social Care volunteers, providing such valuable support to people facing the end of life and coming alongside those who have lost loved one? Seamlessly, it’s clear, hearing Adrian Frost talk about how he took up volunteering with us nearly 20 years ago. It was the loss of his brother Roger in 1996 at St Julia’s Hospice in Hayle that made Adrian take stock and decide to get involved with our charity in 1998. Recently retired and with 45 year’s nursing experience under her belt, Amanda Jackson found that serendipity played its part in bringing her to St Luke’s. Like so many of our hard-working volunteers, Brian McCourt enjoys putting the practical skills gained through a long career to great use to help St Luke’s and those we look after. With 30 charity shops and much related maintenance there’s plenty to keep him busy, and the skills he acquired from many years working as a carpenter, joiner and shop-fitter are in constant demand. 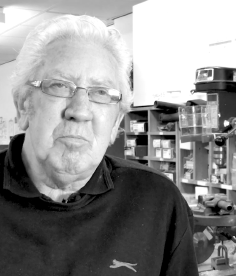 Brian, who worked for Bambles and at the Dockyard, first became incolved with our charity through fundraising , including setting up a St Luke’s Hospice Cricket League. He has been volunteering for us for many years, giving two days a week of his time. When visitors arrive at our specialist unit at Turnchapel, the warm and friendly welcome they receive plays a big part in the relaxed, peaceful and uplifting setting they encounter, often at a time when they’re expecting something far less positive. But did you know it takes 25 volunteers to help ensure the smooth-running of our busy Reception area? 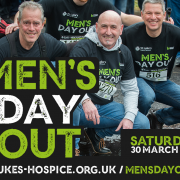 BLOG: Men’s Day Out 2019 – registration now open! Plymouth’s biggest and best Men’s Day Out is back! 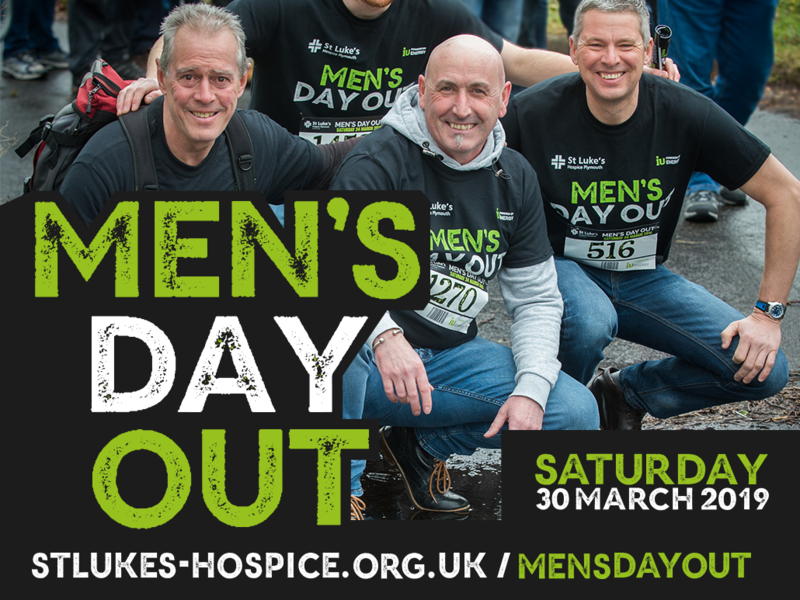 Join hundreds of men on the move for St Luke’s Hospice Plymouth on Saturday 30 March. It’s a great opportunity to gather your mates and walk our 12km route (with one or two watering holes along the way) and enjoy a pasty and a pint whilst watching a cracking rugby match, at the end. https://www.stlukes-hospice.org.uk/wp-content/uploads/2018/12/MDO19-Webblog.png 773 1030 Robert Maltby https://www.stlukes-hospice.org.uk/wp-content/uploads/2018/04/stlukes-logo.png Robert Maltby2019-01-01 06:00:532019-01-01 08:49:22BLOG: Men's Day Out 2019 - registration now open! BLOG: The boy’s are back! 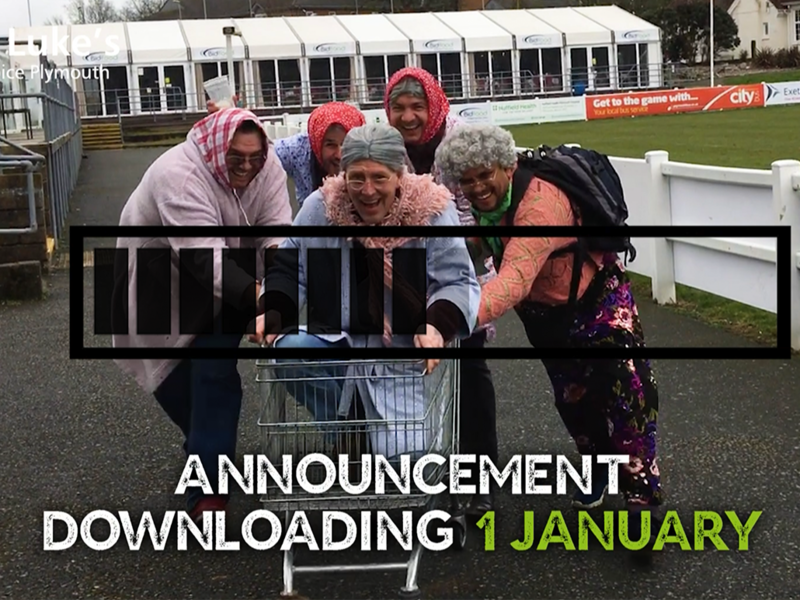 Big announcement on Tuesday 1 January! 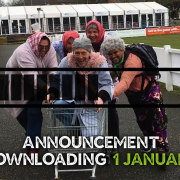 https://www.stlukes-hospice.org.uk/wp-content/uploads/2018/12/MDO19-ANNOUNCEMENT-WEBBLOG.png 773 1030 Robert Maltby https://www.stlukes-hospice.org.uk/wp-content/uploads/2018/04/stlukes-logo.png Robert Maltby2018-10-18 14:45:412019-01-01 08:50:29BLOG: The boy's are back! With an estimated £140million of used clothing being sent to landfill each year in the UK*, one of the city’s best-loved charities has joined forces with talented students to show that buying outfits second hand not only boosts our wardrobes and wallets but benefits the world at large, too. When first-year commercial photography students from Plymouth College of Art sought St Luke’s Hospice Plymouth’s help for a ‘high end’ fashion shoot with a difference, the charity – which has over 30 shops across Plymouth and surrounding areas where it cares for patients at end of life – was keen to help, giving them free rein to raid the rails of its city centre Drake store in Cornwall Street to find suitably stylish secondhand items. With the students having mixed expectations about the quality and range of items they might find there, the experience proved a real eye-opener for the budding photographers – Ben Given, Bethan Madeley, Catherine Hyde, Mi Kelly, Paris Netherton and Rosie Hartshorn – as well as producer, student Alice Conway, models Laura McGowen and Abi Baldwin, plus the hair and make-up team of City College Plymouth students involved. Not only were they blown away by the bargain prices of the impressive range of high-quality pre-loved dresses, coats, shoes and accessories, they pooled their talents to make the outfits look a million dollars in the images they captured against the suitably elegant backdrop of Mount Edgecumbe House in Cornwall. 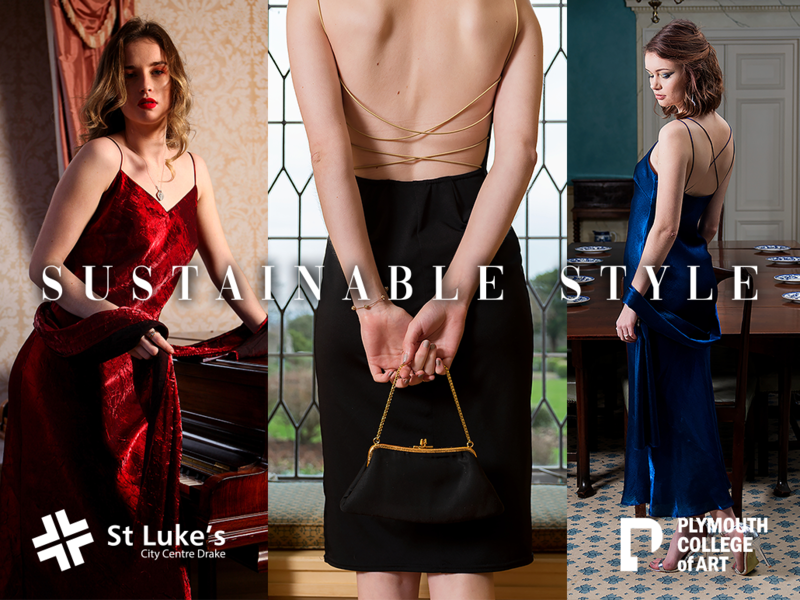 So pleased is St Luke’s with the fashion shoot photographs it is planning to display them in the Drake charity shop windows shortly. Learn more about our shops. Without doubt, all our fundraisers are very special people but we think you’ll agree big-hearted Bridget is extra special. In just three weeks, fuelled by her passion to make a difference while she can, this inspirational lady has gone from receiving the devastating news of a terminal diagnosis to fundraising for St Luke’s by having her head shaved. Following her diagnosis in hospital, our compassionate team has been caring for Bridget at home and supporting her family, including husband Keith, whom she met while at school. Bridget is making every moment count. If you’d like to show her your support, it’s not too late to donate via Facebook. 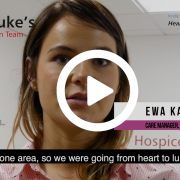 St Luke’s Hospice Plymouth has long been renowned locally for the outstanding end of life care it provides across the city and surrounding areas and now the charity has received prestigious national recognition as Hospice Team of the Year. 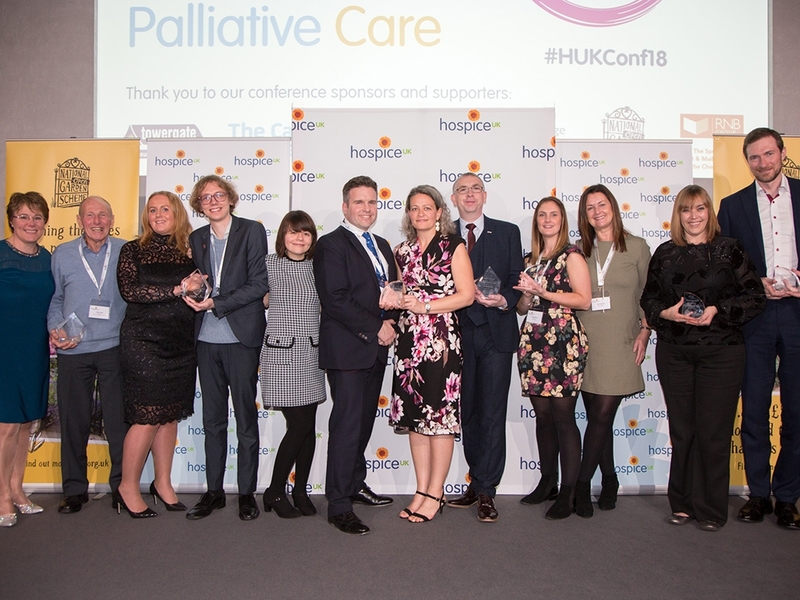 Staff and volunteers received the accolade in this year’s Hospice UK Awards, which celebrate the innovative work and people in hospices and palliative care organisations across the UK. St Luke’s entry for the award centred on its Patches pre-bereavement support for young families. 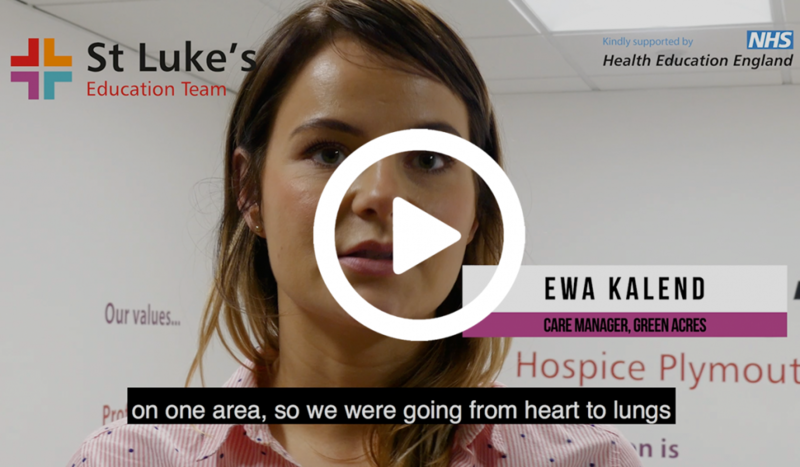 The service – which launched as a pilot in November 2017 – was developed in response to the changing hospice environment, with St Luke’s seeing an increase in the number of patients under 40 needing its specialist care at home, in hospital and at its specialist unit at Turnchapel. With most of these patients having young children, they have the daunting task of preparing their young children for their death, which can add extra anxiety at an already challenging time. Meanwhile, the youngsters face the heartbreak of losing a parent and can experience feelings of confusion and fear. With this in mind, and recognising the positive lasting impact of sensitive, age appropriate support for children in these circumstances, staff and volunteers from across the organisation rallied to develop and deliver a solution that provides bespoke support for each individual family as part as of the seamless package of compassionate care for which St Luke’s is known. Adapting the existing national pre-bereavement support model, clinical and non-clinical teams came together as one, with doctors and nurses sharing ideas and skills with their social care colleagues, the communications and fundraising teams, maintenance and receptionists. While St Luke’s has an outstanding Patches Family Support Worker in Lisa Carter, who is there for young families facing loss, her work is enabled and supported by a much wider team across St Luke’s. Patches, the koi carp cartoon character, and the materials he features in to engage young children and help them make memories with their family, was created by talented in-house graphic designer, Jesse-James Cambridge and volunteer illustrator Marie Arroyo Lopez, while the maintenance team transformed the playroom and implemented the Patches trail around the specialist unit at Turnchapel. In addition, staff and volunteer receptionists ensure a warm welcome at the unit and give out direction for the trail. Since its launch, the service has helped 134 families. On her recent visit to St Luke’s Tracey Bleakley Chief Executive of Hospice UK said: “I am so impressed by the innovation at the hospice actually, and the fact it comes from all levels. It’s a really great culture of everyone listening, learning and innovating from each other. When ideas come from junior members of staff or people out there working with families like Patches, it’s so impressive how everyone supports that all the way through to the board. Money is found for the project, people work together and the outcome is fantastic and what that really means is that it’s a hospice that’s growing and developing with the community and will continue to do so”. 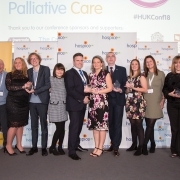 Steve Statham, Chief Executive of St Luke’s, said: “I’m delighted and proud that the passion, dedication and hard work of our staff and volunteers has been recognised nationally by Hospice UK. Patches is kindly supported by The Morrisons Foundation. Helping care home staff by increasing their knowledge and competence improves care and decreases referrals to stretched NHS services, so it’s great news that our recent Health Education England grant has enabled us to deliver beneficial training that is already making a difference. Our first cohort of 8 care home students gathered at our Brooklands, Crownhill offices recently to celebrate completing St Luke’s Care Home Assessment of the Sicker Person (CHASP) programme. Recognising that older people in care homes have increasingly complex needs and require access to good quality nursing care, this new programme supports staff to enhance their clinical skills and minimise avoidable admissions to acute care in hospital. For care homes providing support around Dementia, the programme provides additional benefits as Ewa Kalend, Care Manager at Greenacres, explains “We deal with people that live with Dementia and often we can’t ask a simple question to establish if they are well or not. The training has given us more confidence to make a judgement and develop our skills further. Su Jameson, End of Life Clinical Educator at St Luke’s, said: “This grant will further improve the good relationship we have already with care homes. 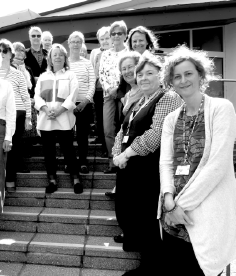 This investment in the professional development of their staff recognises the key role they play in providing care in Plymouth with the aim to improve their knowledge and skills, benefiting both the residents of the care homes and increases the staff morale”. With a single call from a healthcare professional, people who urgently need specialist end of life care at home can access high-quality and seamlessly co-ordinated rapid response treatment thanks to St Luke’s Urgent Care Service. 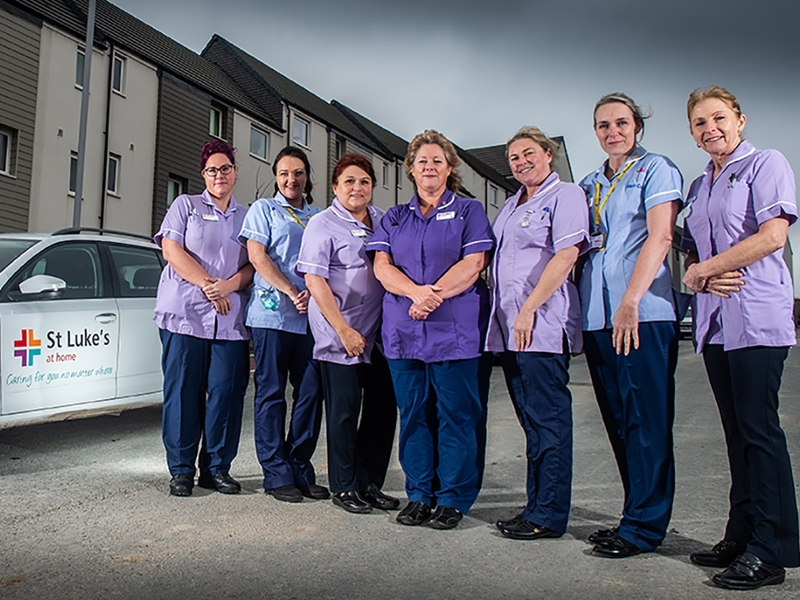 The new service unites specialist nurses from Livewell Southwest, Marie Curie and what was formerly known as St Luke’s Crisis Team to provide better co-ordinated care for terminally ill patients during a time of change or at end of life. The redesigned service makes it easier than ever for those needing our bespoke compassionate care to receive it quickly regardless of their location within St Luke’s catchment area. Importantly, the service also reduces unnecessary admissions to hospital. The launch of the service saw us welcome ten Livewell Southwest employees – including administrative staff as well as nurses – who have formally transferred to our organisation, donning a new lilac-coloured uniform, and Marie Curie nurses seconded to the team, making 33 staff in total. Working in partnership with Marie Curie means our urgent care will continue to reach across Plymouth and its surrounding areas from 8am to 10pm, seven days a week. Key improvements to the service include a simplified system to reduce paperwork while maintaining quality assurance and the ability to tailor our care more quickly to a patient’s changing needs. Andrew Shaw, Head of Community Services at St Luke’s, said: “The service was initially launched as a pilot in February 2017. Many patients have benefitted but there is room for enhancement. “We can now more easily determine where patients are with their condition – stable, unstable, deteriorating or dying – which means they benefit from the right care, at the right level, at their right time. This makes us more effective, enabling us to prioritise patients in most urgent need of our bespoke care, so our time, specialist knowledge and skills are being given when really needed. “During a terminal illness a patient’s condition varies and their care needs change. Whereas they might require three visits a day for a while, at other times once daily is sufficient. This frees up our time to help more people while not compromising the quality of our care. “We also follow up with patients when they’re discharged from hospital or our specialist unit at Turnchapel, and – in situations where people no longer require our care because their condition has improved – we work with them and other care providers to make sure they continue to get the appropriate support. Service Manager Sharon Smerdon said: “The new service is a shining example of how healthcare providers are responding to the challenge of developing a more co-ordinated and person-centred service in line with the government’s Ambitions for Palliative and End of Life Care. “When someone is at the end of life, it can be a very worrying time for them and their family, which can be exacerbated if accessing the care is frustrating. “Being more innovative in the way we work, with a ‘one team’ approach and single point of entry to our service, means we’re more accessible to the GPs and others who refer patients to us. Now, with one call to our service, they can get the feedback they need so that patients can receive the right care more quickly. Sharon King, Palliative and End of Life Organisation Lead for Livewell Southwest, said: “Helping someone at the end of their life is a privilege. It’s the last opportunity we get to do the right thing for someone, and at Livewell we share St Luke’s and Marie Curie’s aims to make the service the best it can be. In true St Luke’s style, the team is sharing its learning with other healthcare providers so that more people benefit. 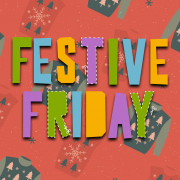 From bringing out the baking trays to sporting Santa hats, fundraising in the run-up to Christmas can be a lot of fun, so St Luke’s Hospice Plymouth is encouraging local businesses, schools and community groups to get festive on Fridays to help support its vital end of life care. St Luke’s compassionate specialist team cares for patients 365 days a year and the Christmas period is no different. Over the Christmas week, more than 300 patients will be looked after by the charity’s staff at home, in hospital and at the specialist unit at Turnchapel. The team will also be there supporting patients’ families, and helping them create special memories with their loved one during this special time. 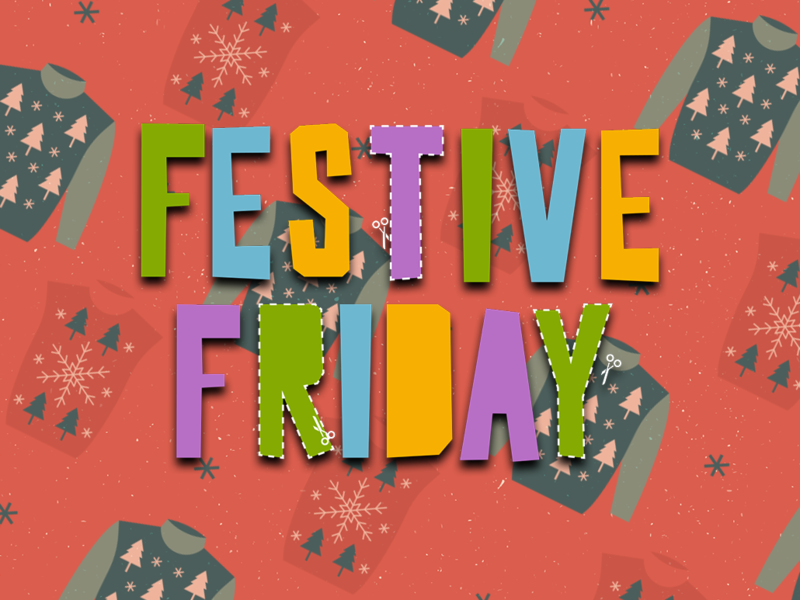 The money raised through Festive Fridays helps ensure this vital care and support continues, and fundraising ideas can be as simple as running a Christmas quiz or a competition to judge the best decoration for the top of the office tree, or donating a small percentage from customers’ bills. Check out our top Christmas jumper picks of 2018. Pete Ward, Community Fundraiser at St Luke’s, said: “Big or small, we love seeing the creative ways people raise money for St Luke’s, and every penny helps make a difference to our patients and their families. Register for your free fundraising pack!